(10/20/18) - Alicia Keys surprised her husband, Swizz Beatz with a 40th Birthday Party at World On Wheels in Los Angeles, CA. Jay Z and Beyonce were in attendance along with Usher, Jimmy Iovine, Maino, Steve Stoute, Sylvia Rhone, Neo Da Matrix and more were there to celebrate. Alicia Keys also surprised Super Producer Swiss Beatz with a brand new neon yellow 2019 Aston Martin Vantage coupe. The new Vantage has the new AMG 4.0-liter twin-turbo V8 making 503 HP and 505 lb-ft of torque. What that means is, it does zero to 60 mph in 3.6 seconds. Swiss arrived at the party, blindfolded, thinking he was on his way to a fancy restaurant, when he was surprised by all of his friends at the popular skating rink in LA. Swizz actually turned 40 in September, but his birthday was celebrated on this night. It was actually his protege, Neo Da Matrix’s birthday on this night. Jay Z said a speech before the cake was cut and the night turned out well. Unfortunately, Swizz injured himself and had to drive his new Aston to the hospital, to get his arm checked out. Check out this exclusive behind the scenes footage from the event. What Is The SNOWBALL EFFECT??? 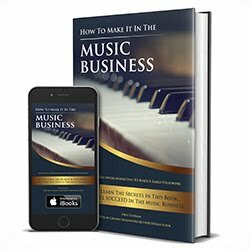 BIGGEST Music Business Secret REVEALED!! !